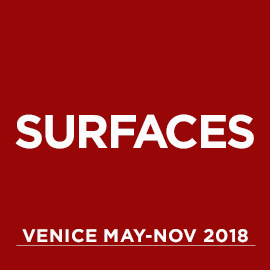 Luca Curci talks with Bikkel Artist during PLACES the second appointment of SURFACES FESTIVAL 2018 in Venice. 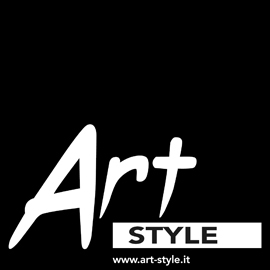 Bikkel Artist – My name is Bikkel. At facebook listening to the name Bikkel Artist. I was born on Curaçao and came to the Netherlands 17 year-old. I started studying at the Willem de Kooning Academy. What I learned there I could pass on to my students at a secondary school in Maassluis in the course CKV, Cultural Artistic Education, a broad cultural package. What inspired me from my teenage years on Curaçao is the small amount of rainwater that falls annually. I began to understand how important water is for humans. This important insight has influenced all my glass objects and paintings. Especially for this I have chosen for working with the material glass. The transparency refers to the transparency of water. L.C. – Which subject are you working on? B.A. 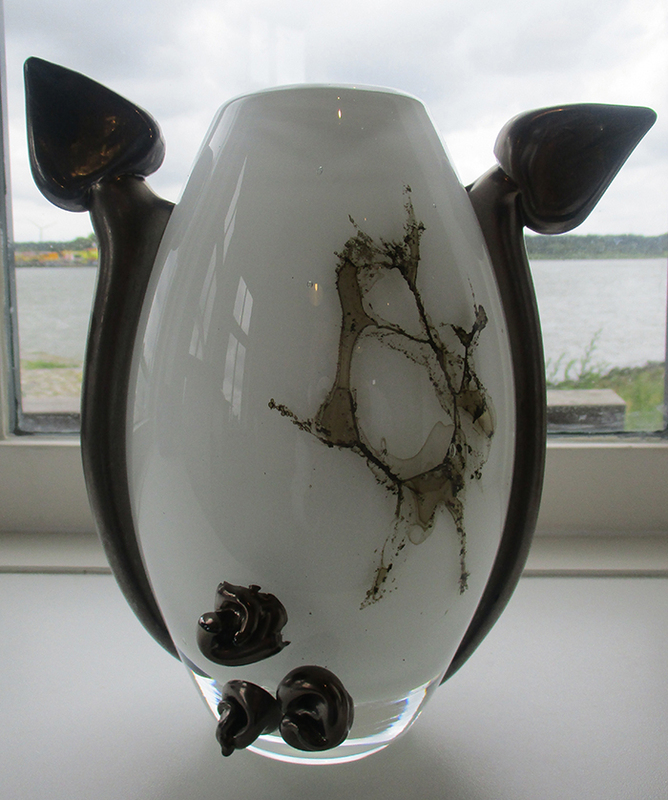 – Because of an invitation from Gorkums Museum for an exhibition with my glass art, I dived in the old history of Gorkum and found the story of the Gorcum martyrs. Because I only want to show new work for an exhibition, I decided to make an installation as a metaphor for this historical event, where for me the suffering of the martyrs symbolizes HOPE as part of the feeling of faith, hope and love. As in the case of the translating of an old history into a contemporary new image, it is a super challenge for me. Before creating, I am looking at a source deep within myself. A meditative moment before I start working, thinking or creating. B.A. – In my work my roots are present. In glass by processing chicken wire as a metaphor for my homesickness to Curaçao. 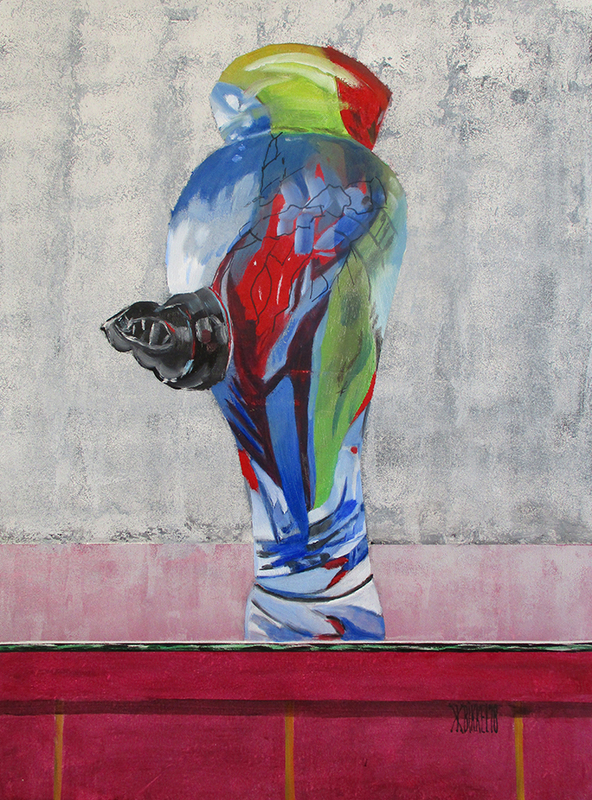 In painting by processing a layer made by spraypaint over a fishnet. The layer allows show the separation between the two continents. 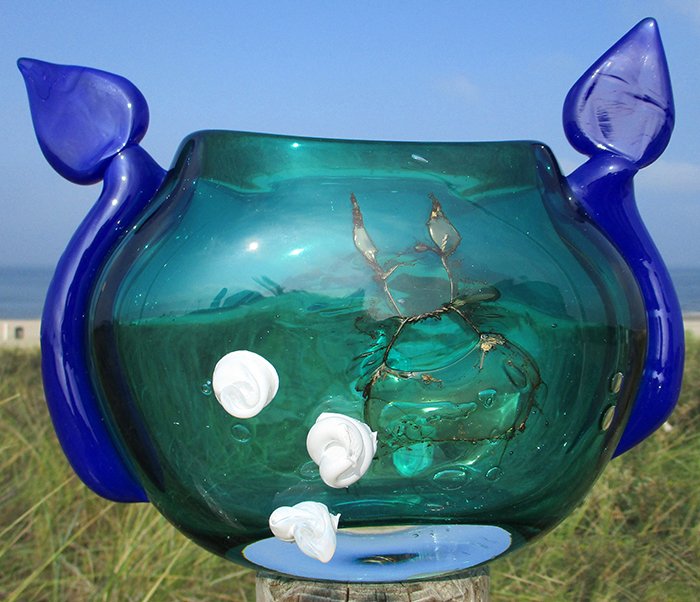 My works in glass show above all, are a lust for life. The sumptuous forms and rich colors are remarkably un-Dutch and bear witness to my Caribbean background. I went looking for a glass working space and was allowed to work at the Van Tetterode Glass Studio in Amsterdam. B.A. – Most of the time I work for own collection. 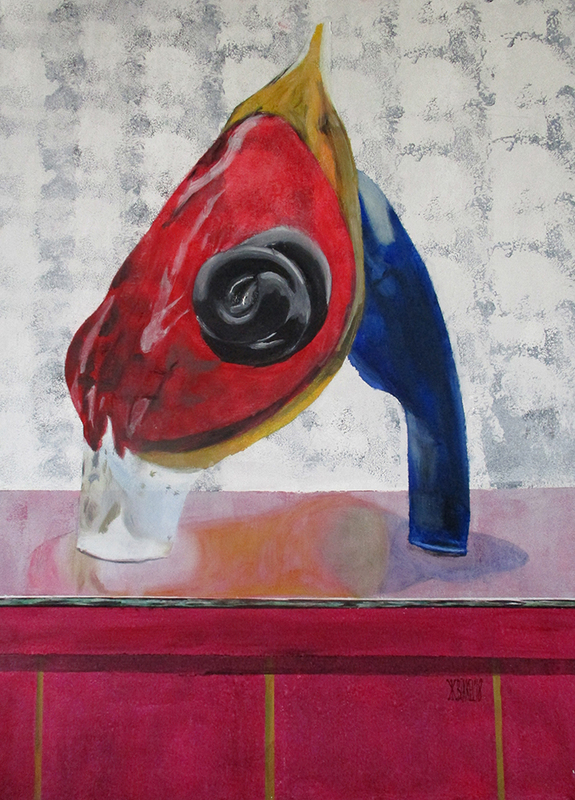 But I feel happy to receive invitations to participate in exhibitions within a certain theme. I think it is fantastic to create a work especially for such an occasion, which I know my glass sculpture or my painting will be surrounded by works of other artists on the same theme. B.A. 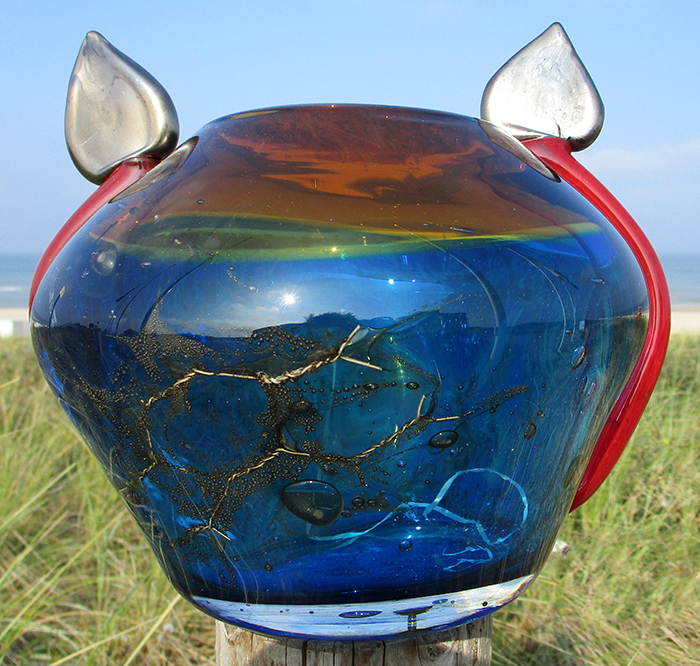 – I am deeply gratefulI my glass art is praised both at home and abroad. In 2017 I received WAG golden medal for glass art at Slavonski Brod, Croatia. 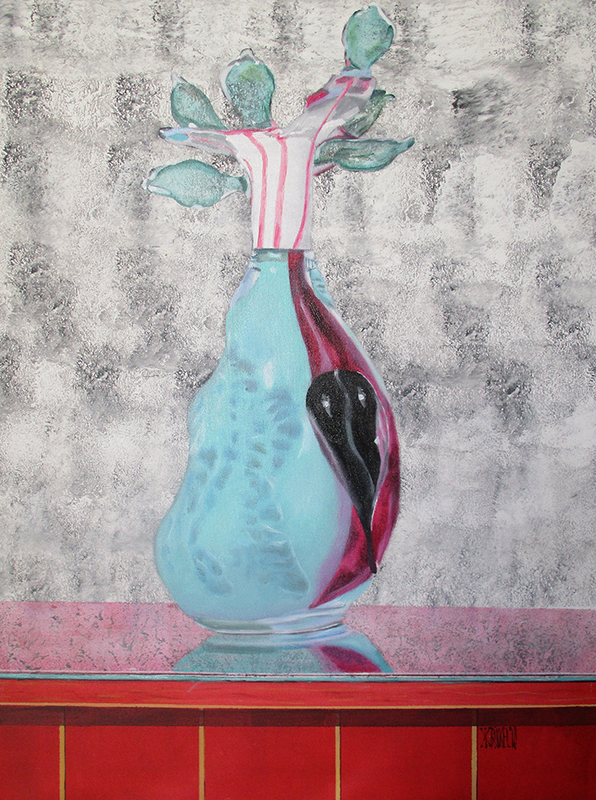 My glass and my paintings are included in famous collections and various museums. In the Caldic collection, the Curacao Museum, Maassluis Museum, for example. I am also very honored with the wonderful Prizes and Awards I received from all over the world by prestigious art institutions, foundations and organisations. Like Constanza Foundation, European Art Museum, Zervas Art Clubs, WAG Organization, etc. L.C. – We were attracted by your last artistic production, has the artworks presented been created for the festival or as a part of preexisting works? B.A. – ITS LIQUID GROUP Project Coördinator Carmen Loiacono have informed me that ITS LIQUID GROUP considered my artworks during my solo at Museum Douanehuisje, Maassluis, Netherlands. And that she is interested in showing them during the festival PLACES they are organizing in Venice during the International Art and Architecture Festival. 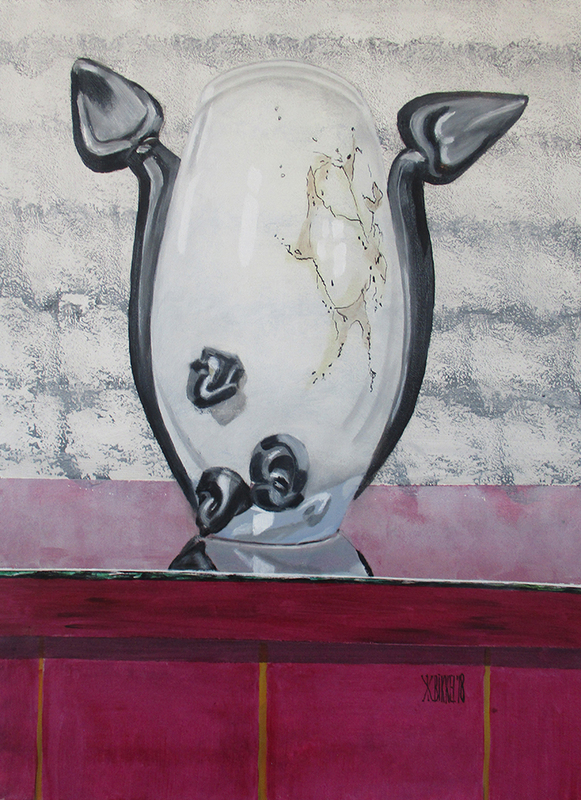 Architect Luca Curci invited me by Mrs. Loiacono to show my glass art and my painting at THE ROOM, Contemporary Art Space at Venice from July 26th to September 13th, 2018. After this exhibition to my great honor, my glass art and my painting will be included in the collection of Architect Luca Curci. B.A. 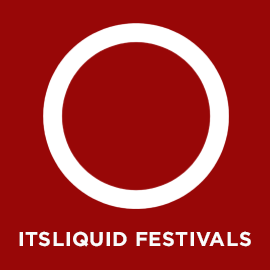 – ITSLIQUID is open to many art disciplines, so that these art forms get a beautiful platform. 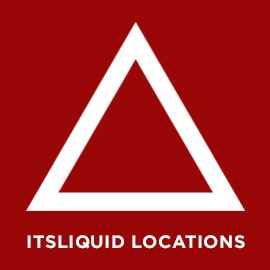 ITSLIQUID is one of the great examples in the world to show contemporary art, architecture and design to the thousands of visitors to the platform. About the theme of the festival i would say that’s perfect choosen. It shows a great vision to give shape to themes such as BODIES, PLACES and SPACES. 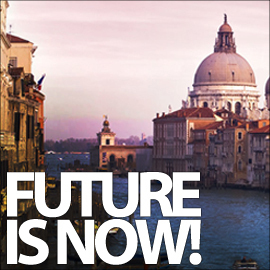 I visited the Architecture Biennale and Arsenale in Venice in 2018 and I was very impressed with how architects give their vision of the current world. Especially the Dutch pavilion has made a deep impression on me. The idea of entering the entrance to rooms and spaces via lockers in a station was also great. B.A. – ITSLIQUID Platform is a fantastic communication platform for contemporary art, architecture and design. I understand that ITSLIQUID has a readership of more than 200.000 subscribers. This is an amazing number of subscribers. That is why I am particularly honored with the invitation to this interview. Thank you, dear Francesca Canonico, Project Coordinator ITSLIQUID. B.A. 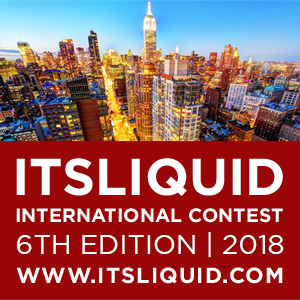 – The cooperation with ITSLIQUID was frankly speaking amazing. When I arrived in Venice with my glass art under my arm and in my other hand my painting I was welcomed by three dear colleagues. My artworks in THE ROOM are on display at the most beautiful. And now I receive a great invitation to this interview. My deepest respect for ITSLIQUID organization. L.C. – Would you suggest a collaboration with us? What do you think about our services? B.A. 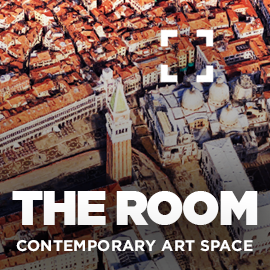 – It has been an exceptional opportunity to be represented through ITS LIQUID platform online, as well as in the gallery The Room in Venice. Very professional cooperation and I would strongly recommend it.